by andyc 4th June 2017 19th July 2017 1 comment on Why not just buy a GPS cat tracker? The simple answer is battery life. Very long battery life (around 3 months). I don’t want to be changing batteries all the time. The one day I forget to change the battery will be the day when Buttons decides to go an investigate next door’s shed, I know it. The ability to remotely find out where your cat currently is, allowing you to find him if he’s lost. Small enough and light enough for a cat to carry around (obviously!). 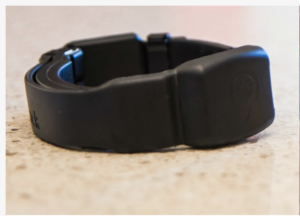 All of the GPS-based cat trackers I could find had battery life that was measured in days, rather than months. I’ve had a look at the most popular ones below. 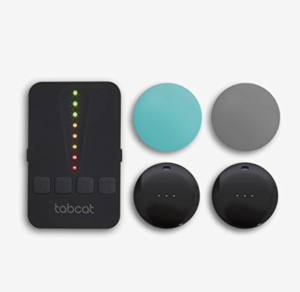 This device is the top Google hit for “cat tracker”. Clearly a decent product, with thousands of users, but the battery life is quoted as “2-3 days”. There’s no way I am going to be bothered chasing Buttons round the house trying to change the battery every 2 days. The £125 up-front cost isn’t bad but £5 a month is a bit annoying. It’ll be especially annoying when the pawtrack people decide that they don’t want to run the servers anymore. Seems to be a less polished version of pawtrack. 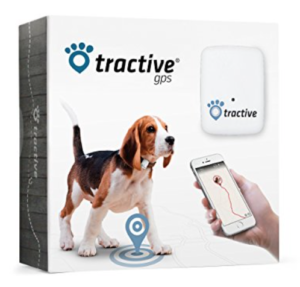 Same deal – GPS receiver and cellular modem with a similar monthly rate to pawtrack. The up-front cost is cheaper, but if the Amazon reviews are to be believed, it’s a lot worse. Despite the slightly unusual name, this one isn’t actually that bad. I know this because it’s what I currently use to keep track of Buttons. The device works in a completely different way to the previous two. There’s no GPS receiver and no cellular modem. The good news is that means that there is also no monthly charge! The bad news is that you can’t see the location of your cat on a map. The way it works is that the base unit gives you an indication of how close you are to your cat and which direction it is in. You swing the unit round and follow the beeps until you stumble upon Buttons fast asleep in a bush, before wondering why you were so worried in the first place. The batteries last several months (woo! ), but annoyingly you have to be within about 40-50 metres of your cat for it to work. It’s not a huge issue, but it’d be nice to see where he is on a map without having to put your shoes on and wander the streets in your dressing gown. What I’d like to design is basically a combination of the above products. GPS level accuracy from a product with a battery-life measured in months.